As of 2017, there were more than 2,700 Oakland residents who were homeless — an increase of 25 percent when compared to two years before. In all of Alameda County, there are about 5,630 homeless residents. In all of California, there are nearly 130,000 homeless residents, including nearly 11,000 homeless American Veterans. New York City homelessness has reached the highest levels since the 1930s when the country struggled through the Great Depression. Today, there are nearly 64,000 homeless residents in New York City, including more than 15,000 homeless families with almost 23,000 homeless children. This is the largest metro area homeless population in the country. 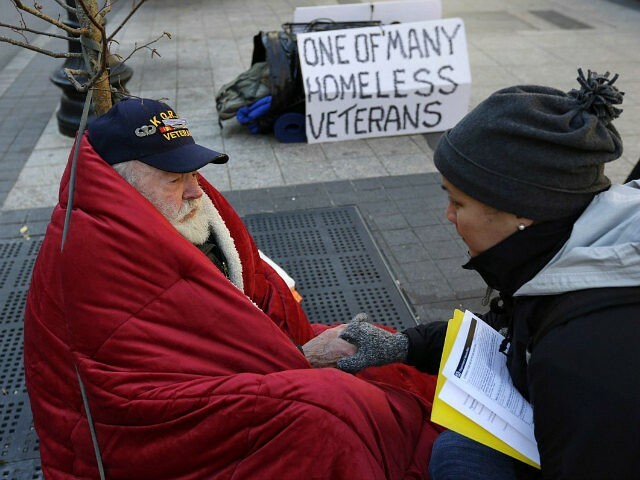 There are more than 1,200 homeless American veterans living in New York state. Philadelphia, Chicago, and Cambridge have a combined homeless population of at least 12,000 residents. In the state of Massachusetts, alone, there are now more than 20,000 homeless residents, including almost 1,000 homeless American veterans. “The city would be prepared to welcome these immigrants just as we have embraced our immigrant communities for decades,” Philadelphia Mayor Jim Kenney said. “As a welcoming city, we would welcome these migrants with open arms, just as we welcomed Syrian refugees, just as we welcomed Puerto Ricans displaced by Hurricane Maria and just as we welcome Rohingya refugees fleeing genocide in Myanmar,” Chicago Mayor Rahm Emanuel said. “We know from decades of experience that newcomers to Burlington will make us more prosperous, more diverse and stronger, just as generations of past immigrants have driven our past growth and success,” Weinberger said. In total, there are more than 550,000 American residents who are homeless nationwide. Meanwhile, the U.S. admits more than 1.5 million illegal and legal immigrants every year — the overwhelming majority of which are low skilled workers who compete for jobs against America’s poor, working, and middle class. The Washington, DC-imposed mass immigration policy drives housing costs up for Americans, economists have found. Previous Previous post: Obama Adviser’s Book Is Ranked 1,030 On Amazon. How Did It Make NYT’s Best Seller List? Lib turds are more worried about Non-American Citizens than People who laid down their lives for this country.